In working with clients, it became obvious that before one can reach optimal health, letting go of clutter in the mind and in the home is a must. Once the living space is clear, the energy that was once trapped is now available mentally and physically. I help you Clear the Clutter in your Home, in your Psyche, and in your Soul. Whether we begin with cleaning out your closet, workspace or kitchen pantry, these simple acts symbolically help reveal and make room for what we Do want: a healthy body, a healthy relationship, a healthy spirit, and a healthy path. As your health and home transpire, so do you! Because each of us has the answers within, I can help you Illuminate, Unravel, and Reveal your true Path and Purpose. Together, we set goals for empowerment, freshen up stale ideas, and clear away whatever is not working. Together we can Illuminate your path and purpose. As we recognize and remove the obstacles, we set goals for empowerment. In helping you move forward and define your True Self, I meet you where you’re comfortable. In my home, in your home, or through over the phone sessions, we can work together to Illuminate your True Path. Each and every session has its own Spirit and brings along its own Surprises. Whether it takes one session or more, we’ll work together until you have a space for Healthy Living and the Clarity to Create the Life you have always wanted. Then your true self begins to shine. $125/hour is my standard rate; however, if you truly want to see results then I recommend committing to weekly sessions over at least a three month period. Each session is different and as we progress, layers are peeled back and new self-discoveries are made. With a three month commitment, the rate drops to $85/hour. 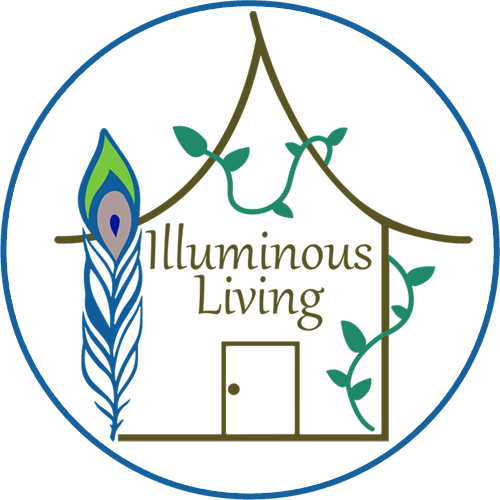 For those who have completed three months of healthy living coaching through Illuminous Living, I offer tune-up sessions at a discounted rate of $60/hour. My Healthy Living Coaching sessions are not only available in-person. We can connect over the phone if you are not in the Louisville, Kentucky area. Contact me at 502-558-2653 if you are interested in healthy living coaching over the phone.